This work is the first part of the stereo video project. 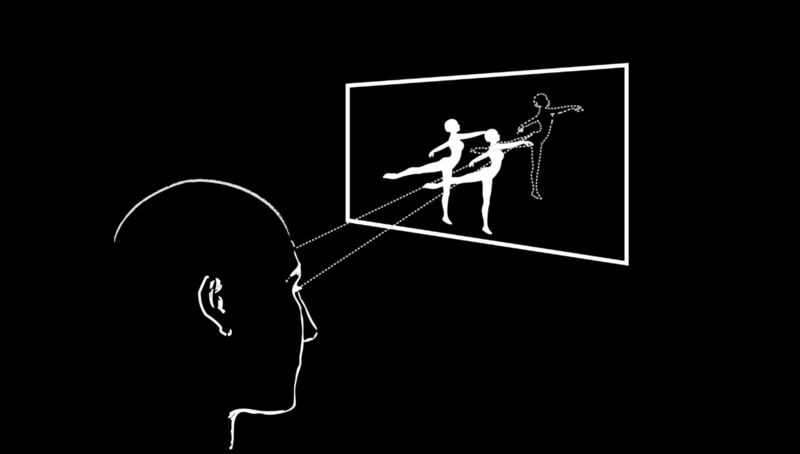 The figure of the dancer is a hidden stereo image in each frame. 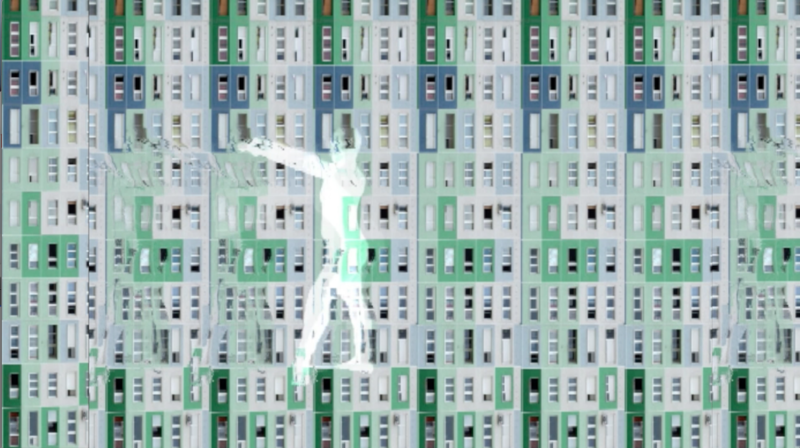 The dancer is visible when viewed in the form of normal video, however, switching to stereo images, the frame area gains volume and we see only the ghost of the character in stereo space. As a child such stereo images seemed magical: we decided to revive them. The sound design in this particular work also follows the same basic principles. To record it, microphones are placed in an ear-like manner, using an artificial- or a real head: therefore when listening to the recording on headphones, it will create the feeling of hearing the original sonic reality of a space. 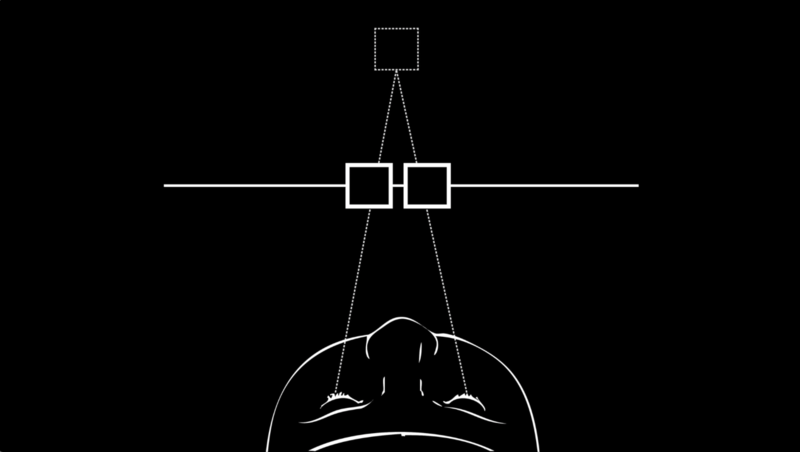 This binaural recording technique creates the illusion of aural depth and the sensation of presence, all leading to a similar three-dimensional experience that is achieved by the stereo imagery. The viewer therefore feels the place that is shown as imagery much more. This helps the observer to be more involved in the process of creating an image of reality that can now exist between artist and viewer, with the help of both of them. So better get headphones to really experience the trip! What exactly is a stereogram? A stereogram is any image that, through one of several techniques, is able to convey the experience of depth perception to the viewer by means of stereopsis for binocular vision. Originally, stereogram referred to a pair of stereo images which could be viewed using a stereoscope. Nowadays, there are many other methods to display stereoscopic images. The binaural sound recording method uses two microphones, arranged with the intent to create a three-dimensional audial space. The listener experiences being in the room with the performers, instruments or other sources of sounds. The effect is often achieved using the technique known as “Dummy head recording”, in which a mannequin head is outfitted with a microphone in each ear. Binaural recordings are intended to be listened to on headphones, and will not have the desired effect over other stereo speakers.